In 1968, Sgt. Gordon Helsel was bleeding to death in Vietnam when God saved his life in a most surprising way. The U.S. Army awarded Helsel two Purple Hearts and a Bronze Star Medal for his bravery and wounds sustained. 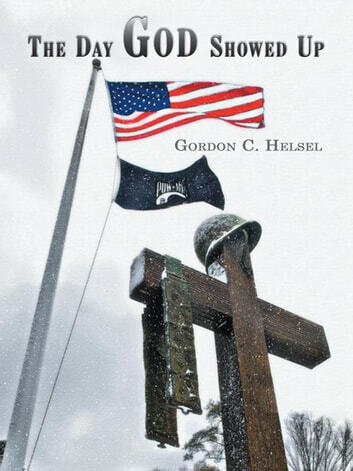 Now Gordon Helsel has written his witness to American history exactly as it happened. His book, The Day God Showed Up, is a humble and uplifting tribute to God, Helsel's fallen and wounded friends and all Americans who put their lives on the line by serving our country its Helsel's love story for his wife, God and country.